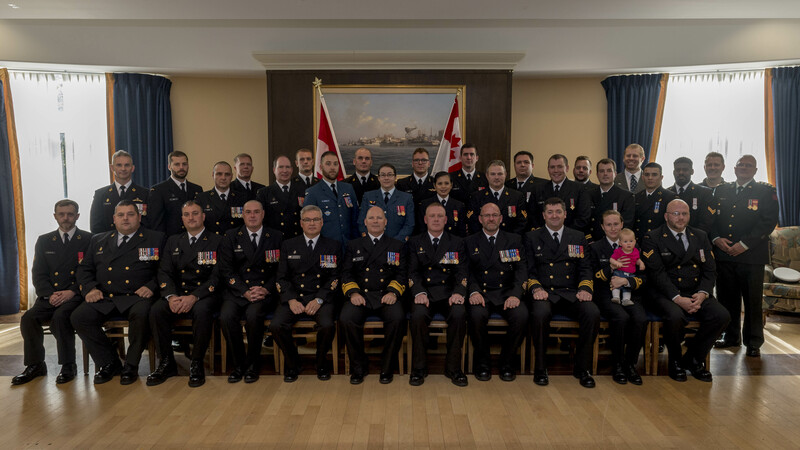 All of the recipients from the Commander MARLANT’s Honours and Awards Ceremony sit for a group photo with RAdm Craig Baines, Commander MARLANT and JTFA, and Formation Chief CPO1 Derek Kitching, on January 25. As the Executive Officer of HMCS St.John’s while deployed to Op REASSURANCE in 2017, then LCdr Scott Nelson spent weeks tracking Russian naval forces near Syria, including a Kilo-class diesel submarine. Now, as the Commanding Officer as HMCS Halifax, Cdr Nelson recently had a chance to look back on that 2017 deployment as he received the Chief of the Defence Staff Commendation for his judgement and tactical acumen during the tense situation at sea. “We train a lot, as you know, and to actually have a chance to use that training against a real peer adversary is quite exceptional,” he told RAdm Craig Baines, Commander MARLANT and JTFA, at the Honours and Awards Ceremony held on January 25. 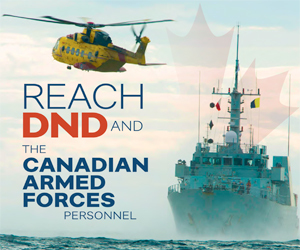 The CDS Commendation is awarded for a deed or activity beyond the demands of normal duty that is of benefit to the CAF or Canada, and the official narrative for Cdr Nelson’s award claimed that his leadership at sea brought great credit to the Canadian Armed Forces. In addition to the CDS Commendation for Cdr Nelson, another significant individual award was presented to a civilian member of the defence team at the ceremony, with Robert Keddy receiving the Canadian Forces Medallion for Distinguished Service. 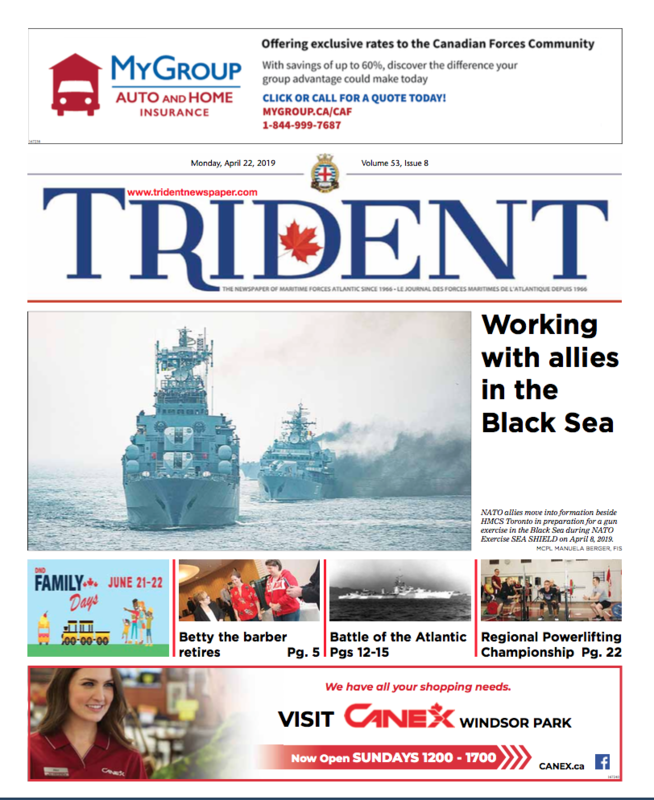 In his role at the Canadian Forces Maritime Warfare Centre from 2012-2018, Keddy was credited as being critical to the Royal Canadian Navy`s ability to analyze data collected from new hardware and weapons systems in Halifax-class ships, providing unprecedented feedback on combat performance. MS Jeffrey Grandy, who served as HMCS Montreal’s Fire Control Section supervisor during Op NEPTUNE TRIDENT 17-2. He was credited for going above and beyond in researching the source code and scripting for the ship’s Combat Management System, allowing for advances in new technical and strategic initiatives while Montreal was serving as the fleet’s experimental X-Ship. CPO2 Edward Hopkins, for his exceptional actions during the 2016 Remembrance Day ceremonies at the Donkin Legion in Cape Breton. Responding to a veteran in urgent medical distress, then PO1 Hopkins directly contributed to saving a life by ensuring emergency services were contacted and providing first aid. SLt David LeBlanc, for his leadership and technical acumen shown while onboard HMCS Fredericton during Naval Forces Sensors and Weapons Accuracy Check Site trials and United States Navy Task Forces Exercises from January to March 2017. He was essential to conducting complex repairs to the ship’s diesel generators, both alongside and while at sea. Capt(N) (Ret’d) Christopher Ross, for his work as Deputy Commander of the Naval Reserve from 2015-2017. His energetic influence helped the Naval Reserve implement positive changes and embrace the Strengthening the Primary Reserve directive and the One Navy construct. MS Colin Schnare, for his work supporting the evolution of the Canadian Surface Combatant project, as well as the CFMWC’s Battle Lab Upgrade projects. Specifically, he was credited as being key in completing building upgrades that enhanced the CFMWC’s ability to host high-level naval conferences. LCdr Jason Walsh, for serving as the Commanding Officer of Naval Replenishment Unit Asterix from April 2017-2018, where he was described as being instrumental in driving the initial crewing, training and integration required for the ship’s first operational deployment in the Spring of 2018. His leadership helped the unit overcome numerous hurdles to achieve operational milestones and restore replenishment at at sea capability to the RCN. CPO2 Owen Walsh, who has served as senior storesman for HMCS Fredericton since 2015. He was lauded for leading de-storing and stocktaking efforts that delivered 100 percent accountability for every item, as well as for dedication shown after being tasked as the designated assistant to a sailor who required use of a wheelchair. CPO2 Gordon Williamson, for his leadership and innovation as the Clearance Diving Chief of the Underwater Engineering Department at Fleet Diving Unit (Atlantic). Most notably, his development of a standard operating procedure for underwater replacement of main shaft bearings has enabled Halifax-class ships to remain deployed while undergoing repairs. LCdr Emily Lambert, for serving as the Commanding Officer of HMCS Summerside during Op PROJECTION West Africa from February to April 2018. LCdr Lambert led her crew to success in multinational exercises, helped build the capacity of regional navies to defend their coasts, and strengthened strategic and diplomatic ties with allies. Lt(N) Guillaume Desjardins, also for his work with HMCS Summerside during Op PROJECTION West Africa 2018. As the ship’s Operations Officer, Lt(N) Desjardins planned Summerside’s participation in a key naval exercise involving maritime interdiction operations boarding and search and seizure techniques. He also coordinated a donation campaign that saw more than 2,000 French-language books donated to schools in the region. MS Allan Petrie, also for his deployment with HMCS Summerside to Op PROJECTION West Africa. As the ship’s main propulsion supervisor, he led vital repairs to the ship’s diesel engines, as well as to a firemain leak that threatened to take all combat systems offline. His leadership helped the crew maintain the ship’s systems and keep them running in extreme conditions at sea. MS Alex Mullaly, for his work during the Op REASSURANCE deployment with HMCS St. John’s from January to July 2017. As a NES Op on board St. John’s, he helped contribute to the ship achieving a record number of electronic intercepts and sea search collects. LS Mullaly also proved instrumental to the ship’s tracking of the Russian submarine off the coast of Syria. MS Josh Oldford, who deployed as the senior diver as part of Canada’s contribution to a NATO initiative in Latvia in August of 2017. Tasked with disposing the explosive remnants from war in the Baltic Sea, MS Oldford coordinated all manning, equipment, and dive site preparations leading to the safe disposal of two Russian-moored Mk-08 contact mines from the First World War. PO2 Ross Adams, a Weapons Engineering Technician, awarded for his support enabling the development of the new Specialist Technical Inspector course since 2017. He’s helped generate standardized lesson plans and a higher level of training, and was lauded for his dedication, professionalism, and innovation in this work. Capt Bobby Vincent, for his work during a humanitarian relief mission in September 2017 with HMCS St. John’s, following hurricanes Maria and Irma in the Caribbean. As part of the ship’s helicopter crew, Capt Vincent’s leadership and courage was key in the extraction of multiple casualties from isolated areas in challenging conditions. Cmre CWO Chuck Deviller, for his work as the MARLANT Headquarters Building Security Officer from 2012 to 2018. He was credited improving security through modernizations to the building’s aging infrastructure, consistently exceeding expectations. MWO Victor Burke, for his work in support of Exercise BRUNSWICK ALPHA in June of 2018. MWO Burke showed experience and leadership as the J7 Coordinator at JTFA Headquarters during this New Brunswick based emergency preparedness exercise. The final award presented went to Capt Matthew Elliott, for his performance as JTFA Lead Planner during Exercise FRONTIER SENTINEL in June of 2018. He was specifically credited for work that expanded JTFA’s interoperability with the United States Coast Guard and United States Navy Fleet Forces Command. Following the ceremony, recipients were invited to take photos with family members and colleagues before attending a small reception inside Juno Tower.